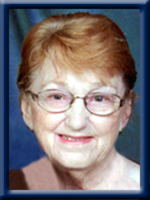 UHLMAN – Dorothy Mae, 78, of Liverpool Queens County , passed away peacefully in Queens General Hospital, Liverpool on September 23rd, 2013 surrounded by her loving family. Born in Liverpool, she was a daughter of the late William “Bill” and Muriel (Allen) Evans. Dorothy was a former employee with Peoples Department Store in Liverpool as well as Hillsview Acres in Middlefield. She had a passion for knitting sweaters and mittens for her family and loved baking, bingo, talking on the phone with family and friends, crime and mystery stories and TV shows and old classic country music. She enjoyed spending time with family and friends over coffee; keeping up with the “times of the town”. She was a member of the Liverpool United Baptist Church, having been baptized in March of 2012. She will be fondly remembered by her witty quotes and sayings as well as for her fondness for coconut cream pie. She is survived by her children Michael (Shirley) of Greenfield, Kevin (Callie) of South Brookfield, Janet Uhlman (Mitch) of Maple Ridge, BC, Annette Gamblin of St. Paul, AB, Dawn Uhlman (Scott) of Greenfield. Grandchildren Andrew Uhlman, Jennifer Uhlman, Cara Uhlman, Korbin Uhlman, Billie Mae Lavoie, Marshall Gamblin, Tara Gamblin, Chelsea Tagg, Lindsay Mullett, and Levi Nickerson. Great-grandchildren Grey, Griffyn, and Geneva Forbes, Alex, Charlie and Leanne Wilson, Emmalee and Ace Tagg, Isaac and Evelyn Mullett. Sisters Rita Dagley of Liverpool, Ann (Spencer) Glawson of Port Medway, Joan (Howard) Henderson of Brooklyn. She was predeceased by her son David, sister Marion Schwartz and brother George. To the family, our sincere condolences on your loss. I am so sorry to hear of Dot’s passing.She was a wonderful person.May she rest in peace. So sorry to hear of Dot’s passing. She was a beautiful lady and I will miss our chats that we use to have at Pharmachoice. Heaven has another Angel. My thoughts are with you at this time. We are sorry for this tragic loss. Hopefully the Family can get some peace from knowing her suffering is over. Sorry to hear of your mother’s passing Mike and Shirley. Thinking of you and all the family. May God bless you at this sad time. Please take care. Dawn and family, I am so sorry to hear of Dot’s passing. My thoughts are with you all at this difficult time. A wonderful lady that will be missed by so many people. My condolences to all the family! I was sorry to hear of Dot’s passing as I always enjoyed chatting with Dot and will miss her laugh at Bingo on Saturdays. Sending all your families and relatives sincere sympathy at this time of loss of a loved one. May you cherish the memories of Dot always. So sorry to hear of Dots’ passing. Keep her memories close they help in these difficult times. So sorry to hear of Dot’s passing, I will miss our little chit chats that we had. She was a very sweet person & will be truly missed. Our thoughts & prayers are with you all. Sorry to hear about your loss Ann , we are thinking about you, take care. To Dot’s family, so sorry to hear of her passing. Our thoughts are with you. The Uhlman family….I was saddened to learn of the loss of your Mom. She was a fantastic lady that loved her family dearly. She will be sadly missed but fondly remembered by all that knew her. Take care of each other and find comfort in your many wonderful memories of a great mom and grandmother. Sorry to heart of Dots’ passing. My thoughts are with you at this difficult time. to Dot’s family,so very sorry for your loss,Dot was a very nice person and I know she will be missed very much. To Dots families, we who loved this wonderful woman, will miss her always, thoughts and prayers to all of you. I knew Dot wasn’t well, but still surprised to read of her passing. She was a very kind lady with a heart of gold. Our thoughts and prayers are with you at this very difficult time. We’re so sorry to hear about Dot. She was a lovely lady who loved you all dearly. May all your good memories and love of family and friends heal the grief you must be feeling today. I am so thankful I got to know Dot, she was such a lovely lady. I will truely miss her at Church. I got to drop in to see her on Thursday before we went away & had planned to drop in again when I got home but because I had a cold I couldn’t. So I am thankful I did get to see Dot before her passing. RIP Dot. You are flying with the angels. God Bless. trials of life that some of us have to endure in a very gracious way. May she rest in peace. Sincerely, Doris. Michael, Kevin, Janet, Annette, Dawn and families – I was very sorry to hear of your mom’s recent illness and passing. Please accept my heartfelt condolence. RIP “Aunt Dot”. Lovely lady and loved by many. Thoughts are with the whole family. Keep the warm wishes and heartfelt support of all your many friends to heart. Your Mom’s passing is such a sad occassion but there is always a fine family to keep her memories near. Best wishes to you all! So sad to learn of Dot’s passing. She was a beautiful person and will be sadly missed. My sincere sympathy to all of her family. Our thoughts are with the family, Both of us had the pleasure of working with Dot at Peoples Store many years ago. She always filled the staff room with laughter. A very wonderful lady. Sorry to learn of your mother’s passing. My condolences to you and your family. I know what you going through in losing what I think is the single most important compass in ur life. I know your mom was that to you, too, and with this loss comes so many layers of heartache. Please know my heart is open to you anything you might need during this time of incredible loss. God Bless you all and remember that her memories will always be a treasure I will pray for you. We miss Dot very much. She was such a sweet and thoughtful lady. Every time we visited her and Rita we had so much fun, and we always got a hug and a kiss from her. We want the family to know that your Mom knew Jesus as her Savior and that she told us repeatedly how much she was going to miss her children and grandchildren, but she was so thankful to know she was going to Heaven and she would be waiting and watching for each of you to come home. Thank God her suffering is over, and when you begin to heal you will be amazed as you think back to how strong a woman she was and the love she had for each of you. God Bless and if ever you need anything please call us at anytime. We’re so sorry to hear of your Mom’s passing. Let all of your good memories help you through the pain. We’re thinking of you. Very sorry to hear of Dot’s passing. Always looked forward to seeing her at the Bargain Shop. She always came in just to see how we were all doing and enjoy a few laughs. God bless …and know that she was loved by many. I know how hard it is to lose your mother and understand the pain you are feeling. Please know that my thoughts and prayers are with all of you and will continue in the days ahead. Dot was a caring lady and so comical, her laugh made you laugh. I have wonderful memories that I will cherish. So sorry to hear about Dot’s passing. I will forever remember Dot in her prime, years ago when we were all kids, stopping by after school, she always seemed to have time to chat and laugh, washing clothes, smoking like a freight train and just being so welcoming, you really had a great mom. Years later seeing her was just like coming home, Please know our prayers are with you at this sad time. MY SYMPATHY AND PRAYERS GO OUT TO ALL OF YOU.Hold on to your memories of Dot. She was a great lady! To all Dot’s family and friends my heartfelt condolences, hugs to you all from Faye, Danny and Chris.Dot will be missed by all who knew her. So sorry for your lost. Dot was loved by everyone. Prayers & Sympathy . Sorry to learn of your Mother’s passing. Our condolences to you and your Families. Dot will be missed by us and so many people she knew and who loved her. We are so sorry for her family and friends. Dot always asked about others and had a kind word for everyone. She had a great laugh and loved a funny story and we shared lots of laughs when she came to the office. Condolences from us to her family who were so special to her and to all her friends. To Dawn and families: We never met your dear mom but from reading above, she must have been one lovely lady. So sorry to hear about her passing. This must have been such a difficult time for all of you. Best wishes for moving on with fond memories of the good times with her. When we heard of Dot’s passing, Roy began to recall many of the fond memories he has of Dot from his childhood days of spending time at your family home. May you carry all your good memories of your Mom and her love for you with you always. We are lifting up all of you in our prayers. May God’s comfort and peace be with each one. We grieve with you on the loss of Dot. May the memories of all the happy times you spent together replace the feelings of sorrow and loss you all feel now. Rejoice in the fact she lived, and was a loving, wonderful part of your lives. i worked with Dot in the 70s at the Peoples store…she was a lot of fun…sorry for the loss. To Dots family. Sorry for you loss. She was a great person and a great friend to Robbie and I for many years. She will be missed. Sorry to hear of Dot’s passing. So sorry to hear about Dot’s passing. She was the most wonderful person to all, always in good spirits and always a kind word to say. Our condolences to the whole family. She certainly will be missed. Our prayers are with you. Dawn…very sorry to hear about your Mom. She will be at peace knowing she raised a quality daughter like yourself. We were very sad to hear of Dot’s passing,she was a very special person and will be missed by all who knew her. So Sorry for your loss…… Dot was a lovely lady and will be missed by everyone who had the pleasure of knowing her. Condolences to her Family and Friends.